The professionals at The Raveen know hair loss does not discriminate by age, gender, race or nationality. Men and women are equally affected both physically and psychologically from the traumatic experience of losing ones hair. The Raveen has been helping countless of people get back to their normal and active lives for over 30 years. The Raveen uses the latest technology to restore one with a full head of hair with a an exciting non-surgical procedure. Owner Eddie Goins knows that hair plays a significant role in our life. Hair is one of the first characteristics we notice upon meeting someone. And in our society a full head of hair is a representation of youth and vitality. 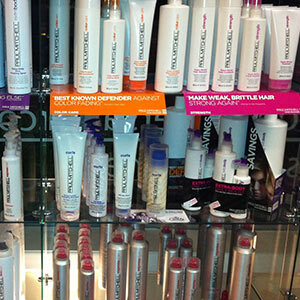 The Raveen employs a staff of top technicians and stylists trained in Hair by Hair Reconstruction. They listen to the client, and zero in on their personal needs. Technicians use the finest real human hair because there is no substitute. Throughout the ages, society has placed social and cultural importance on hair. The fact is, men and women experience some form of hair loss during their lives. Thinning hair and hair loss gives the appearance of advance age. Technological advancement has allowed the professionals at The Raveen to replicate the human scalp, permitting an incredible, lifelike appearance of hair growing right from the scalp. The folks at The Raveen understand that everyone is unique and deserve special individual attention. Call for your free, private consultation today, and get back to your life! Whether you’re ready to explore your hair replacement options or want to try out a new style, Raveen Hair Replacement is here to help you achieve the look you deserve.